Although we’ve now hit the Spring and the days are getting longer, you’ll probably still find yourself needing to run before dusk or after dark. There are two issues with running in the dark: seeing and being seen. 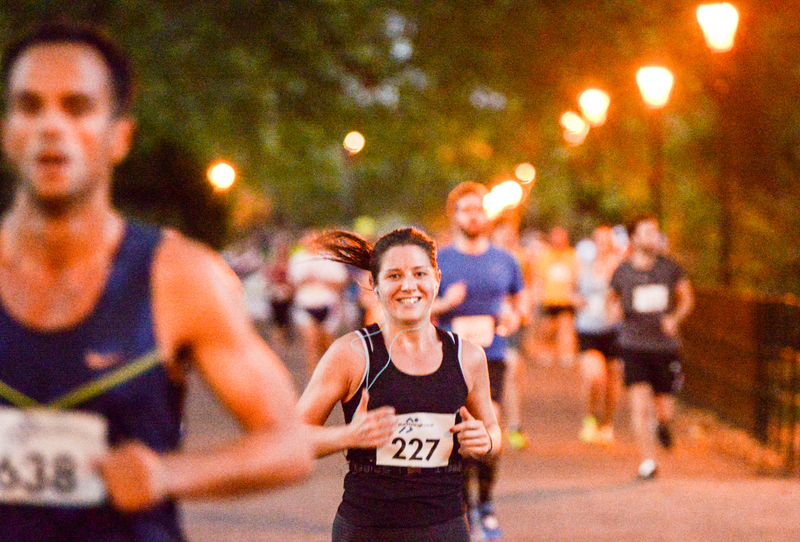 The general consensus when running in darkness is to run a familiar route with streetlights for overall safety; running along street-lit paths satisfies your issue of seeing. BUT you being able to see where you are running doesn’t necessarily mean that other pedestrians, or more importantly, motorists can see you. 25% of pedestrian casualties in the UK last year occurred between 4pm-7pm; during nightfall and when the roads are busiest. Whether it be a run commute home from work, or a quick run around the block before dinner, it is essential you make the right choices to ensure you’re visible – light up the night! You’re almost spoilt for choice with high visibility products on the market now – reflective clothing, LED shoe spurs, armbands, headtorches…. Historically, “hi-vis” reflective clothing has always been fluorescent – yellow, pink, orange, you name it. Although it is now the norm to see brightly coloured people running around, for the fashion conscious, you don’t necessarily want to be a neon ball of colour, especially if you start your run during daylight. Enter the Proviz REFLECT360 range. Shown below – during daylight, the jacket is a stylish grey. 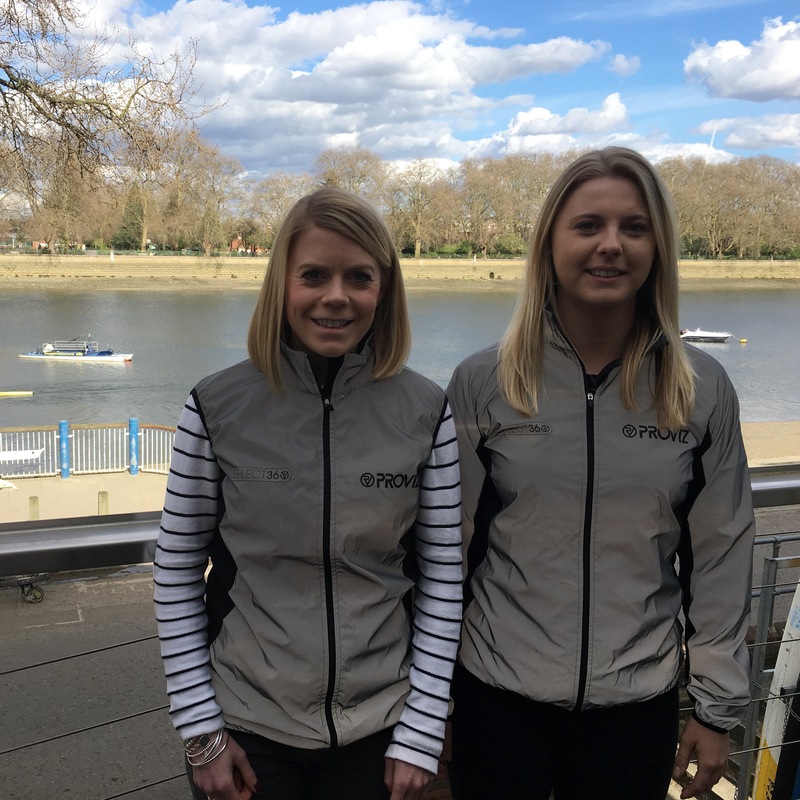 Sophie and Lucy at RunThrough tested out the running jacket and gilet. It is incredibly lightweight, with a soft mesh back and under arms to allow good airflow. The gilet has fitted shoulders to ensure it doesn’t move around and cause irritation, but the soft elastic material used is extremely comfortable. The main material of the jacket uses millions of tiny, highly reflective glass beads to produce an incredible result. A fully reflective jacket – there is no way you’re not being seen in that! The jacket is handwash only. Us runners get through so much sports clothing, the preference is to chuck it all in the washing machine, but for this highly innovative product which could make all the difference in your safety, it doesn’t bother us too much. 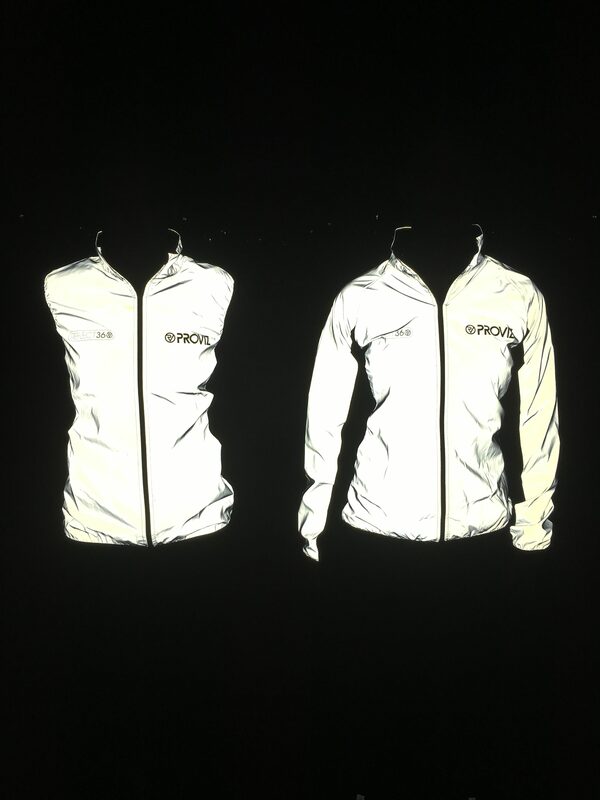 We’d like to see a design with some pockets, but overall we’re really impressed with how lightweight and comfortable the jacket is….as for the reflective properties, you can’t get any better! Proviz also have a wide range of accessories to keep you visible – you can check out their website HERE.